For a lot of investors, the first thing that comes to mind when one mentions Penang is the state’s thriving island and its capital city of George Town. With its strong industries and heritage, Penang island has long established itself as one of the country’s most loved and successful cities. However, due to limited land and a saturated market there, developers have begun crossing over to Seberang Perai, lured by the undeveloped space, cheaper land price and strong growth potential. UDA Land (North) Sdn Bhd, a subsidiary of UDA Holdings Bhd, is banking on Seberang Perai’s potential to sell its two upcoming developments — Crescent Dew and Gravitas. “We first acquired the 65-acre tract for Crescent Dew from developer Bertam Properties Sdn Bhd in 2005. We recognised that Bertam in Kepala Batas, Seberang Perai, is a strategic location packed with readily available amenities and institutions,” UDA Holdings group managing director Datuk Ahmad Abu Bakar says, adding that the group intends to be a leader in middle to high-end products in Bertam. Originally a part of Kedah, Seberang Perai is fast becoming Penang’s commercial and industrial hub. It neighbours the Kulim Hi-Tech Park and Bayan Lepas Free Industrial Zone. In 2014, the RM2.6 billion Second Penang Bridge was completed and it has improved the connectivity between Penang island and Seberang Perai. The latter, a once sleepy district, now has educational institutions and amenities such as Universiti Teknologi MARA, Universiti Sains Malaysia, Penang Golf Resort, Masjid Abdullah Fahim, Hospital Kepala Batas and Tesco. “Penang island is very popular among the locals and Malaysia My Second Home (MM2H) community. Over the years, the property market there has become considerably busier, thus the prices and values of properties have skyrocketed. We believe properties in Bertam are a good alternative for Penangites and expats who work on the island as the area is less congested and offers more affordable products that are value for money. Daily commuting between Seberang Perai and Penang island is also easy,” says Ahmad. 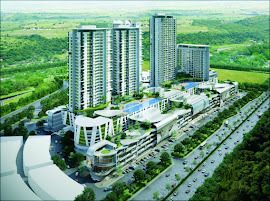 “Crescent Dew will be the first development of its kind in mainland Penang. 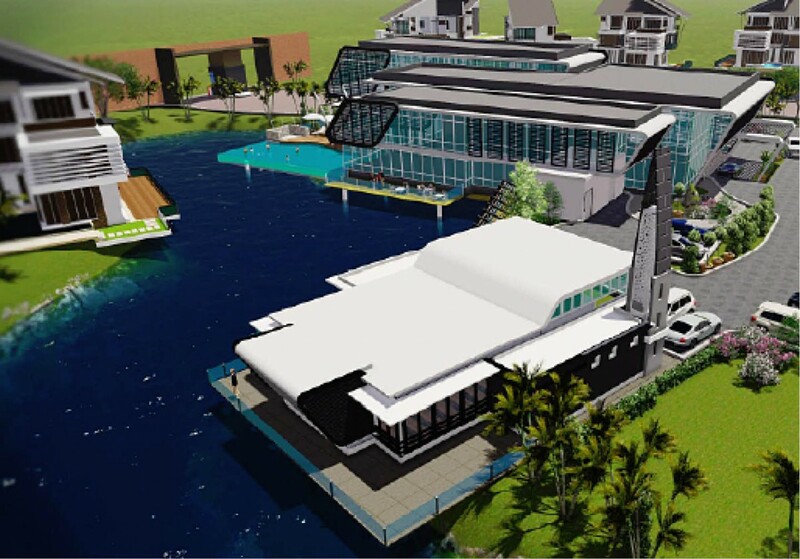 It has a resort-living concept, with plenty of green open spaces,” Ahmad says, adding that the project will have sleek, contemporary homes with a tropical feel. The township has a gross development value (GDV) of RM700 million. It is expected to be launched in September 2016. Located on a freehold tract in Bertam, Crescent Dew will offer 260 landed properties, comprising 2-storey semi-detached homes, 3-storey semidees, 2-storey bungalows and two different types of 3-storey bungalows. The units will have spacious built-ups, ranging from 3,000 to 5,500 sq ft, and have been tentatively priced at RM980,000 to RM2.4 million. The development will be low density with four units per acre and is expected to be completed in 2020. “In the long run, we hope to build a fitness and wellness centre, restaurants, cafés and some retail outlets in Crescent Dew,” says Ahmad. The gated-and-guarded township will have a man-made lake, a 25,000 sq ft lakeside clubhouse with dining, health and recreational facilities such as a swimming pool, badminton courts, playground, gazebos and jogging and cycling track. “In terms of pricing, we consider our price point of RM1.5 million for a semidee in Bertam to be rather affordable compared with a similar property on Penang island, which could go up to RM3 million,” he points out. The group also plans to introduce Gravitas, a mixed-use development that is poised to change Bertam’s landscape. With its grand façade and modern layout, the project will embrace the open-air concept for its retail component. “Gravitas will be a modern, integrated development that promotes the urban lifestyle. We believe this will be the first middle to high-end mixed-use development in Bertam that adopts the open-air concept,” says Ahmad. Located in Seberang Perai Tengah, the 21.3-acre project has a GDV of RM1.1 billion. Gravitas has a total of eight phases and is set to be completed in 2021. The components include a retail centre, food and beverage outlets, podiums, activity centres, business hotels and serviced apartments. The first phase of Gravitas is expected to be launched in August 2016 and will comprise 114 four-storey shopoffices, with built-ups of 1,098 to 1,119 sq ft. Prices of the shopoffices range from RM560,000 to RM1.5 million. The first phase will also consist of a 34-storey condominium and 3.7-acre urban park. “The condominium will front the urban park,” says Ahmad. Located on a seven-acre parcel, the condominium will have 300 units with built-ups of 1,100 sq ft. Prices are estimated at RM450,000 per unit. The condominium will have tropical courtyards, large balconies and two parking bays per unit. “We hope Gravitas will attract the younger set — young professionals, married couples and families. 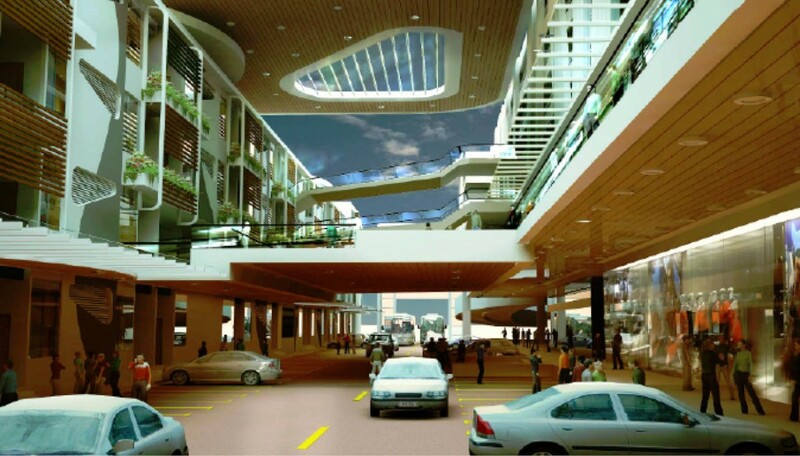 We also hope that the mixed-use development will attract business owners, government servants and homeowners in the area,” says Ahmad. To date, 60% of the shopoffices in the first phase have been booked. “One challenge that we have seen in developing these projects in Bertam is the stringent conditions placed on our prospective buyers — we are concerned about the low margin of financing and high rejection rates for loans. Although our projects have been quite well-received, we are still cautious in our pricing structure for these developments, to cater for the demographic in the area. Apart from that, we have received good support from the local authorities for approvals to go ahead with these two projects,” he reveals. According to Raine & Horne International Zaki + Parners Sdn Bhd director Michael Geh, Bertam has seen a number of new developments in recent years. “In the last three years, demand for properties there has been steady and encouraging. There is definitely more interest in mainland Penang,” he says. Apart from the developments by UDA Holdings, Naza Corp Sdn Bhd has chosen Bertam as the location for its RM1.2 billion plant, which is set to create 6,000 jobs in manufacturing operations. According to Geh, in terms of average prices, landed properties in Bertam are valued at RM250,000 for a 1-storey terraced house, RM400,000 for a 2-storey terraced home, RM650,000 for a 2-storey semidee and RM900,000 for a 2-storey bungalow. In comparison, landed properties on Penang island are valued at RM1.2 million for a 1-storey terraced house, RM1.6 million for a 2-storey terraced home, RM2.6 million for a 2-storey semidee and RM3.5 million for a 2-storey bungalow. Bertam has yet to see non-landed properties, apart from those planned in Gravitas. “In terms of the average rent, we estimate that non-landed properties in Bertam will receive about RM500 per month (with a 3.5% yield), while those on Penang island (in Bayan Lepas, Bayan Baru, Teluk Kumbar and so on) see a range of RM1,000 to RM4,000 per month (with yields of between 6% and 7%),” says Geh. The average price psf of non-landed properties in Bertam is estimated at RM200 to RM250 for apartments without facilities and RM350 to RM400 for apartments with facilities, while non-landed properties on Penang island are RM500 to RM600 for apartments without facilities and RM800 to RM900 for condos, he adds. He notess that Bertam attracts mainly middle to upper-class professionals who work in and commute to Penang island and the other surrounding areas, such as Kulim and Seberang Jaya. It also attracts young couples, young families and retirees. “Bertam is a Malay-dominated area, with a laid-back attitude and facilities such as Mydin and Tesco. Most of the buyers are owner-occupiers. “Properties there have increased to almost their maximum value. Prices for developments have doubled in the past five to seven years. For the next three years, developers would have to price their developments wisely to push up the values. Pricing and affordability would be a challenge as the target market in Bertam may not be able to afford more expensive developments,” says Geh. The outlook for Bertam appears favourable. “Bertam is good for long-term investments, and for those looking for a place for their own occupation,” he adds. Currently, the group has 161 acres in Penang island and the mainland, with an estimated value of RM3.46 billion in remaining GDV. “We are actively looking to acquire more strategic land in Penang.